Want to own a running machine without breaking the bank? The best treadmill under 500 is the ideal solution for you. Treadmills are a must-have nowadays, since running, jogging, and walking are great cardio exercises you can do. Oftentimes, however, the amount of space needed to perform the task is immense. Furthermore, if you are in the middle of a city, it is hard to plan a route that goes continuously without needing to stop due to intersections. Treadmills solve the space problem without needing much effort. Just place one somewhere in your room, turn on the power, adjust the settings to your preferences, and you are good to go! Treadmills do not need to be expensive either. Some of the best treadmills that exist cost less than 500 USD! With the number of treadmills currently in the market, it may be hard to find the best among them. Fortunately, we are here to help you pick. Read further ahead to know the best treadmills under 500 US dollars. Upper body trainer (handles) – offers fewer workout options but has more flexibility due to the added structure. Warranty – 90 days for labor and parts. There are only two inclination options and three workout programs. The Weslo Crosswalk 5.2T adds a slight twist to the traditional treadmill. The Crosswalk still has the attributes of a normal treadmill, except that Weslo added parts to the treadmill that lets you do upper body training. It spices up things and lets you be more flexible on the kinds of exercises you can do. It is basically a 2-in-1, a mix between a cross trainer and a treadmill. Weslo Crosswalk 5.2T is a good treadmill to have if you want more flexible workout patterns to spice up your running. Your 300-dollar investment can never go wrong with the robust 2.25 HP Impulse Max Motor at its core. With this affordable investment, The Goplus Folding Treadmill is an ideal running machine that can keep up with your endurance and speed. There are 12 programs available to cater different exercising needs, from burning fat to improving your cardiovascular health. You can also set your speed up to 7.5mph, enough for most users. Ultimately, you also have your own built-in 5-inches LCD display plus a tablet holder for your iPad. The Sunny Health and Fitness Treadmill is a mid-priced treadmill. It is also a more straightforward one compared to its competitors, some of which has lots of extra features. 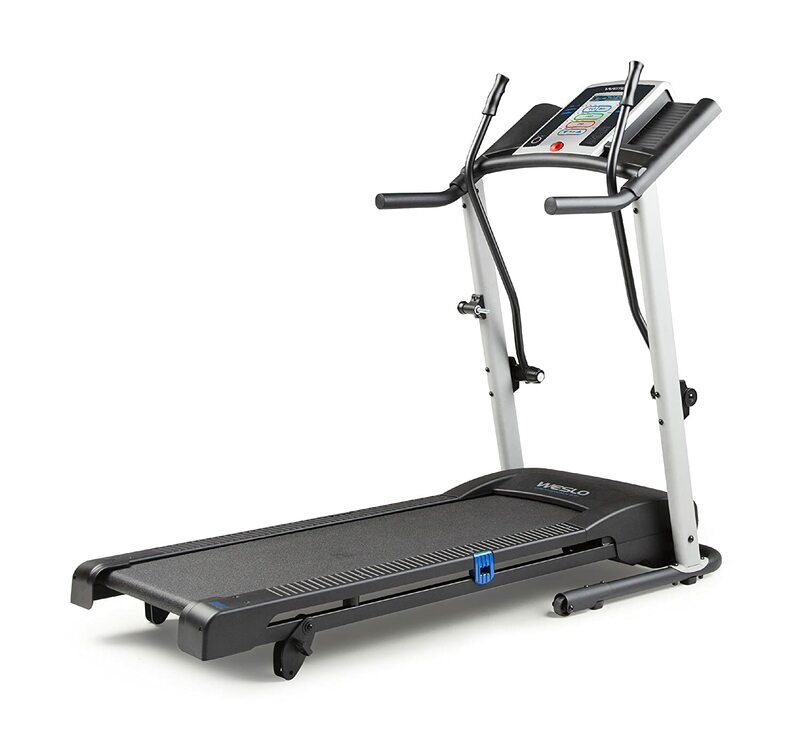 It has three inclination settings, one more compared to the Weslo Crosswalk 5.2T, and is a more balanced treadmill overall. Health and Fitness Treadmill is good for people who want to have simple routines, but with more options. Its average specs corresponding to its average price mean that it is also good for people new to the industry. The features of this treadmill are hinted at its name. The treadmill is designed to have a very high capacity. It means that the Exerpeutic TF1000 can handle large amounts of weight. It is specifically designed to encourage overweight people to start exercising without worrying about breaking the machine. While the motor is not as strong as others on this list, the treadmill still serves its purpose since most of the potential users of this treadmill are at entry-level. Another good thing about this treadmill is the warranty which includes 5 years on motor and frame. If you are new to running or walking, and you want to start trying to be fit, then the Exerpeutic TF1000 is perfect for your journey to health and fitness. The control panel also comes with a heart rate monitor. With Proshox Cushioning, it is comfortable for the legs and gives off less impact to the knees. ProForm 300i Treadmill allows you to have 10 inclination settings. 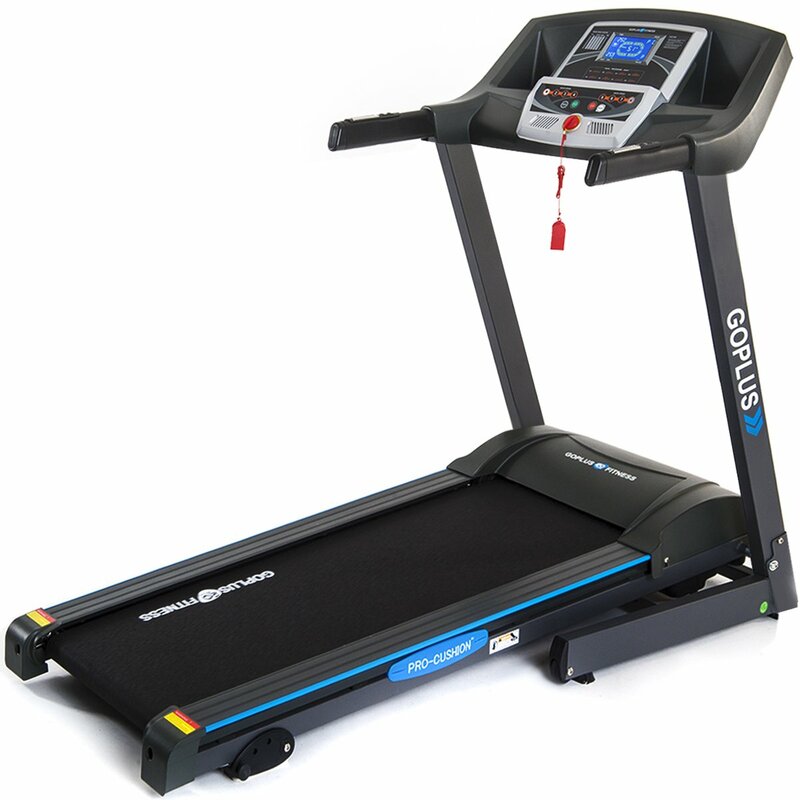 Proform is a well-known brand for the treadmills they produce. Unfortunately, most of them are quite expensive, having prices around 1,000USD. Proform 300i Treadmill is an outlier amongst the treadmills of the same brand. It only costs half the price of the other treadmills while also having almost the same performance. It has one of the highest horsepowers of all the motors in this list, and its warranty duration means that the users have a lot of safety buying the product. It shines most of all due to the amount of customization you can do, due to its built-in control panel. With strong specs, easy to control settings, and a reasonable price, ProForm 300i is a running contender for the title of the best treadmill under 500. Warranty up to 90 days on labor and parts. 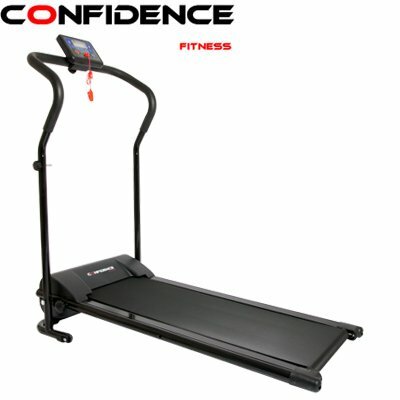 Another treadmill of the Confidence brand is the Confidence Power Plus treadmill. 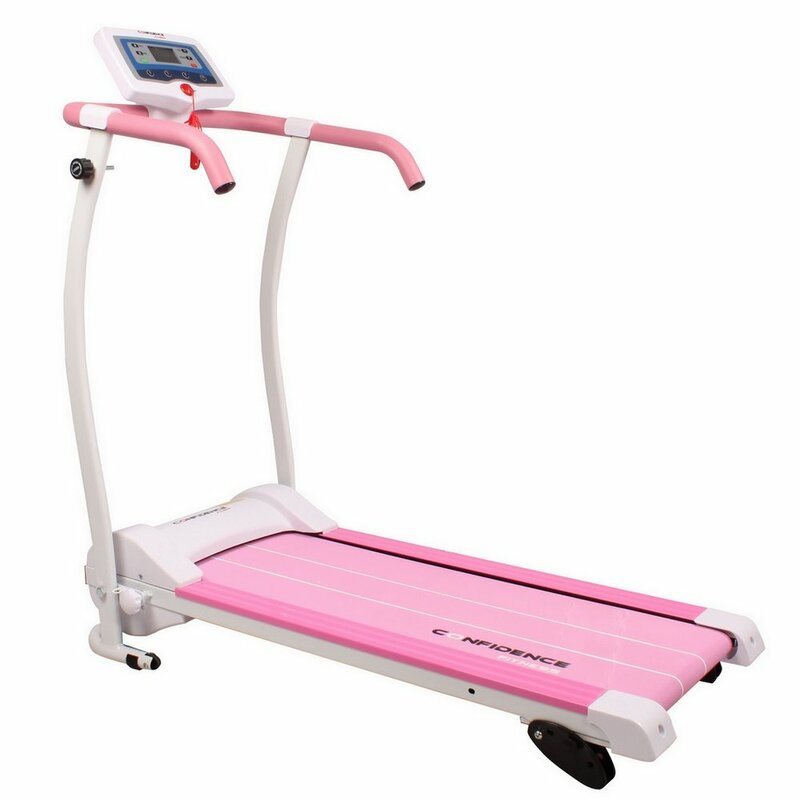 Like other treadmills of its brand, it is quite cheap. It is even cheaper than the GTR Power Pro treadmill. It is also lightweight and portable. This particular model is for people who only intend to walk and jog, and also don’t want any additional features such as inclination settings and programmable workout options. For those with tight budgets, then this treadmill is definitely a godsend. If you want a simple treadmill that has no excessive features and is ridiculously cheap, then the Confidence Power Plus treadmill is for you. Also has a warranty up to 90 days on labor and parts. Another one from Confidence, but this time a little bit better. 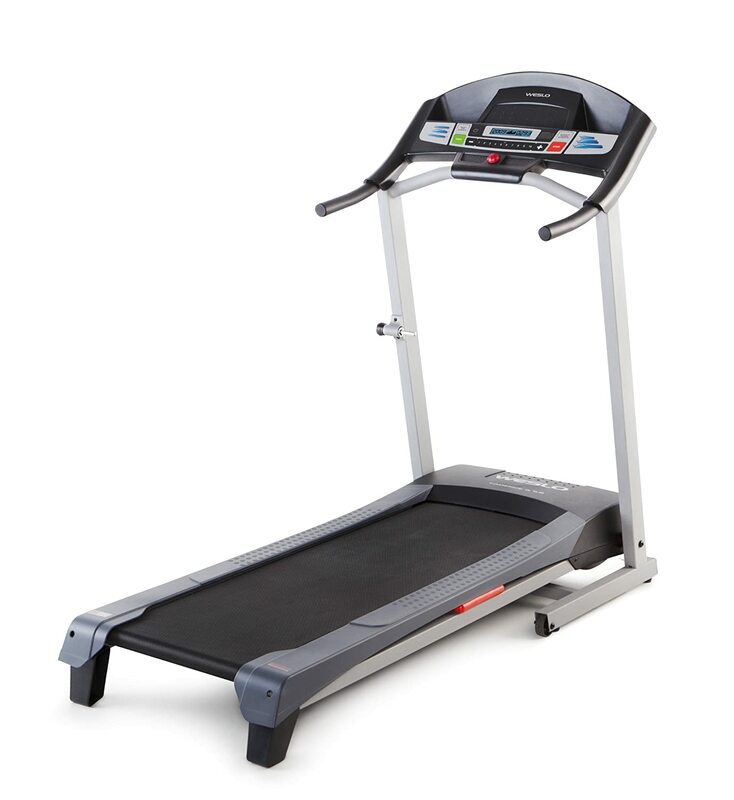 The Confidence Power Trac Pro Treadmill has more to offer compared to the Power Plus model. It comes with more features while still retaining its small and compact design. While it has less power on its motor than the GTR Power Pro model, the specific adjustable speed is a good addition to its features. If you like what the Power Plus has to offer but want a few more features, you might want to have the Confidence Power Trac Pro treadmill. It might cost slightly more but if the extra additions are your thing, then the Confidence Power Trac Pro Treadmill is right up your alley. Has warranty up to 5 years for the motor and 1 year for the frame. 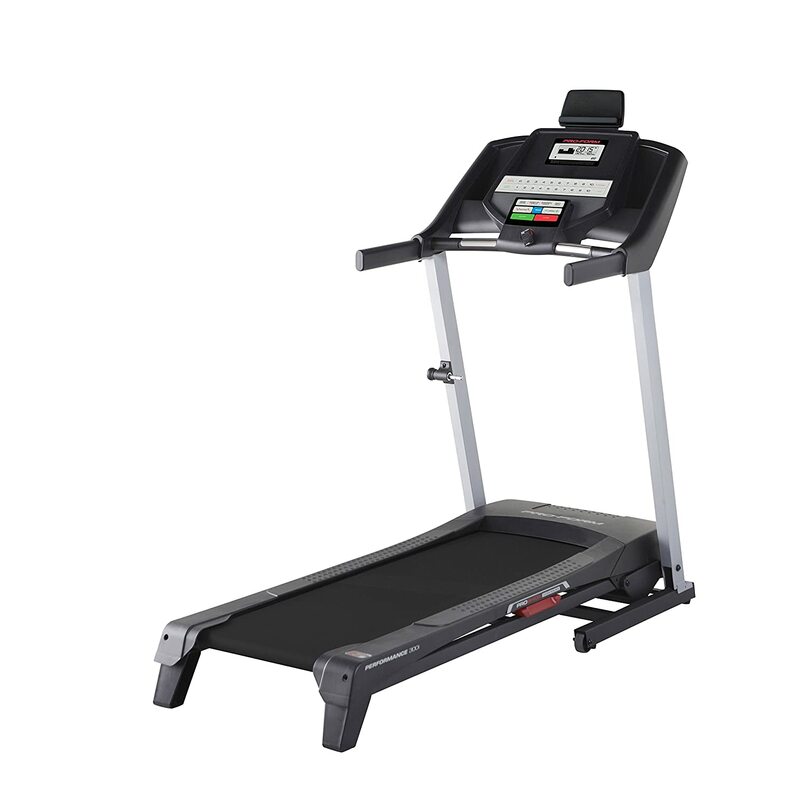 We have another cheap treadmill from the Exerpeutic line. This treadmill has an average motor power. With the way the handlebars are designed, it also offers more safety than the Confidence treadmill line. It is very light and it comes with wheels, which makes the entire model portable. The small size is also a feature for the Exerpeutic Fitness treadmill. Without a doubt, it’s definitely one of the best treadmills under 500 US dollars. If you want a sturdier version of the models from the Confidence brand, then the Exerpeutic Fitness treadmill might be fit for you. Although it is a bit more expensive, the motor has the decent horsepower to cover it up. The Gold’s Gym Trainer is a model line composed of different treadmills under the Gold’s Gym brand, ranging around 400USD to 600USD. The Gold’s Gym Trainer 720 is one of the cheaper models of the line. 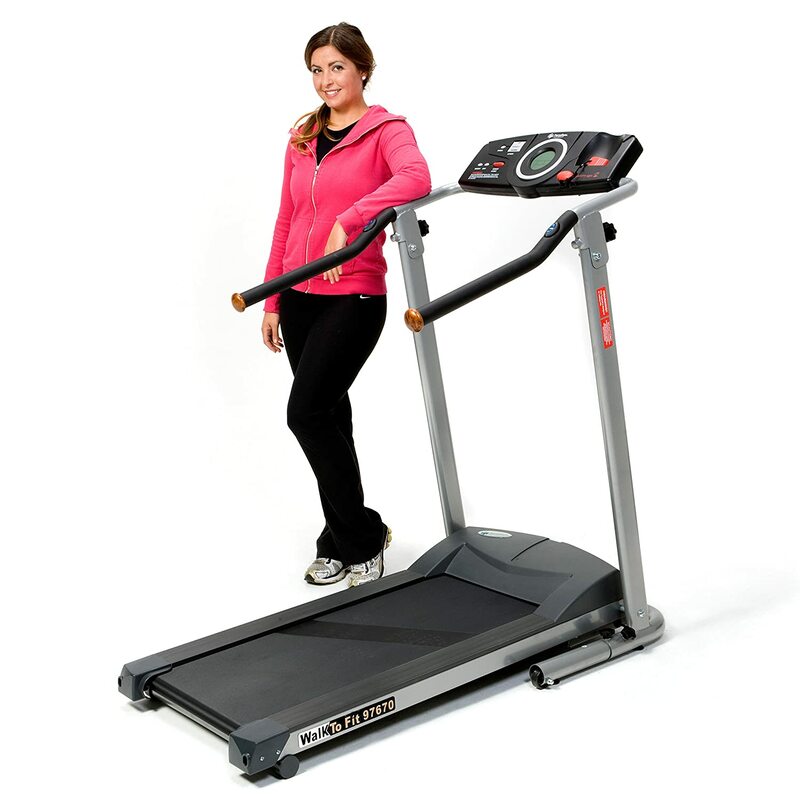 These models are mostly produced by ICON alongside many famous treadmill brands such as ProForm. The Gold’s gym brand itself is a reliable name and can be seen in many parts of the fitness industry. Hence, we can expect the Gold’s Gym Trainer 720 to be a reliable machine and to be part of the best treadmills under 500. Due to the cheaper price range that we are discussing, most of the treadmills on this list are mostly for walking and jogging. You don’t have to worry about that for this treadmill, however, because the power of its motors packs some serious punch. It also is the longest treadmill on the list. 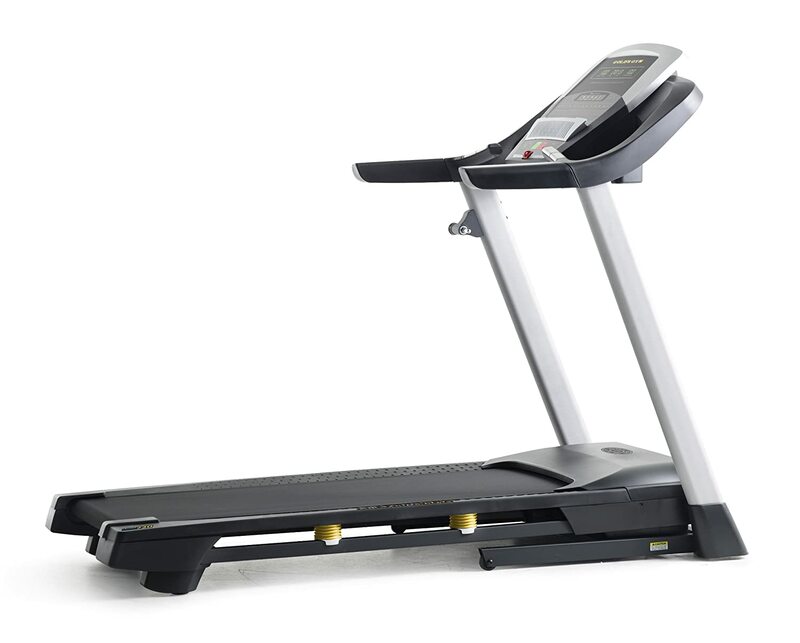 The Gold’s Gym Trainer 720 is one of the most balanced treadmills specs-wise on this list. And since it also longer than the others, people with large strides or people that want to run can be comfortable using this treadmill. You might have already seen this product in our Best Treadmill Under 300 Review; but since its price slightly exceeds that range, then we’ve decided to give it a spot in this review. With great specs and a relatively low price, the Weslo Cadence is one of the most popular amongst the best treadmills under 500 USD. It is average in terms of the options for its settings, but it more than makes up for it with its sheer motor horsepower compared to its counterparts. Because of its amazingly low price relative to its specs, the Weslo Cadence G 5.9E is a staple for entry-level runners. It has an excellent motor plus the foldable design and the small size are welcome bonuses. This treadmill definitely deserves its spot as one of the best treadmills under 500 US dollars. There are many aspects to consider when picking a treadmill. However, do note that each of them has their own attributes and strengths. 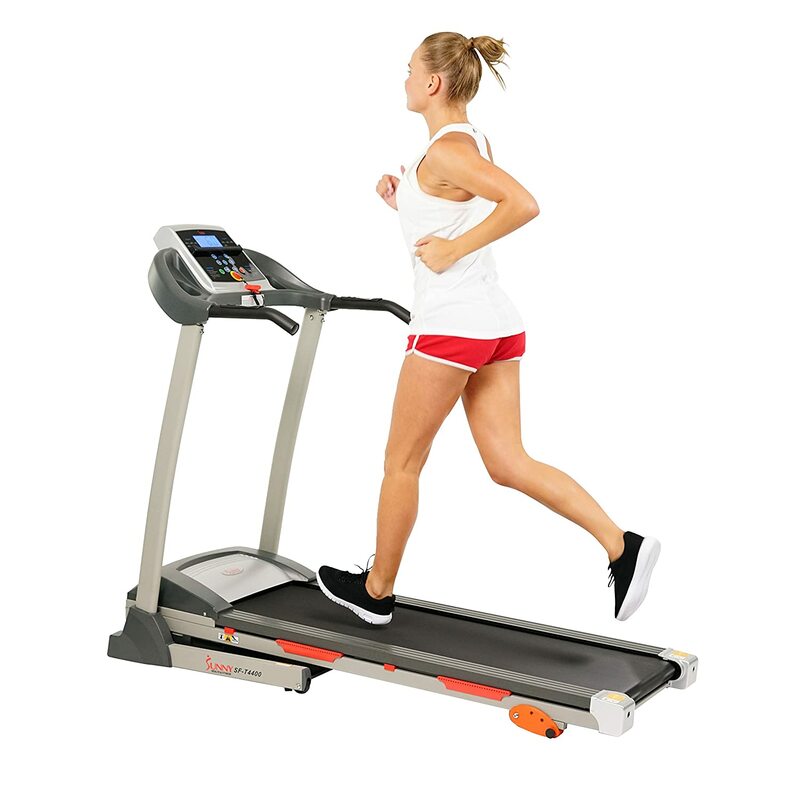 These are the Top 10 Best Treadmill under 500 US dollars so you can carefully read the list, consider what you want, and pick the best treadmill only for you!